Fluctuating temperatures mean potholes have been appearing all over the city. For many, it’s led to a hefty bill at the repair shop. But does a case against the city stand a chance in court? “On a weekly basis, there’s between five and ten thousand dollars of pothole-related damage,” explained mechanic Adriano Colafabio. Montrealers may have become accustomed to navigating potholes, but Colafabio says it never gets easier delivering the bad news. But frustrated Montrealers looking to sue the city for compensation over their damaged cars should know that it’s no easy task. 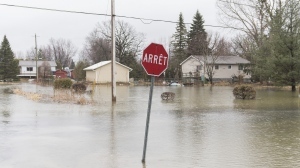 “The Cities and Towns Act of Quebec, along with the Charter of the City of Montreal state that you cannot sue them for any damage to your wheel, or to your suspension, caused by the roads,” said Avi Levy, lawyer and founder of Ticket911.ca. However, Levy says proving gross negligence could help the case. According to Levy, there’s a short timeframe to get your papers together. “From the time you damage your tire you have to send them a lawyer's letter, or a letter putting them on notice that you want to sue them within 15 days, and then after that, you have to sue them within six months,” Levy explained. The regular delay to see a lawsuit through, he says, would be three years. 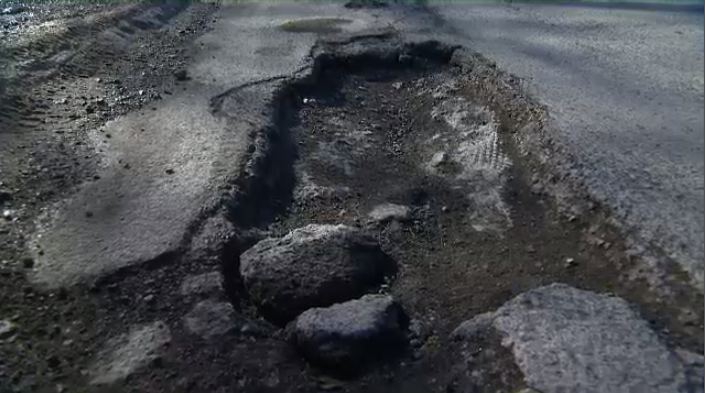 The City of Montreal says it has 16 trucks that go around filling potholes. Crews will continue working to fill existing potholes until the next snowfall, Sabourin said.